Featured Item - Ciavarro & Swanson COMBO! - SOLD OUT!! 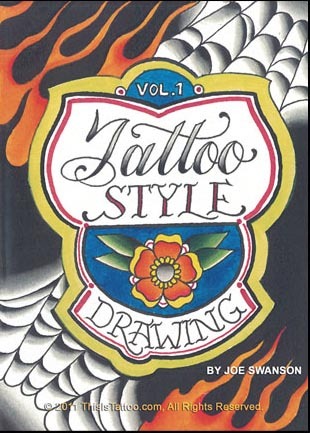 Drawing is at the core of a well developed tattoo skill set, and this week's special is aimed at helping you bring your drawing skills up a few notches! 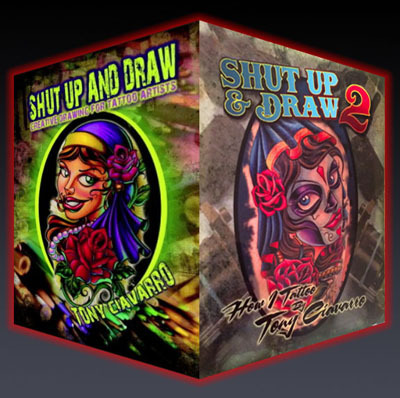 Tony Ciavarro's two Shut Up And Draw DVDs give you a detailed over-the-shoulder look at Tony's drawing process, showing every step taken from rough sketch to completed color design, while Joe Swanson's Drawing Tattoo Style gets down to the nuts-and-bolts fundamentals of clear, readable, skin-friendly drawing. This week you can get all 3 of the disks for $125! This combo deal is our featured items, meaning not only free U.S. shipping, but anything else you order with it gets shipped free as well!